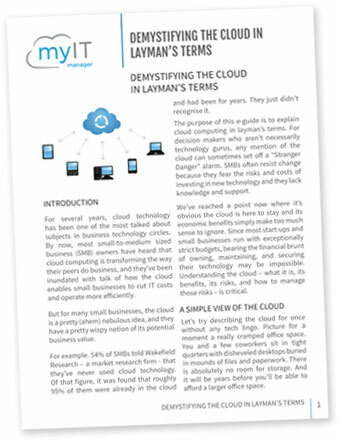 For many decision makers who aren’t necessarily technology gurus, any mention of the cloud can sometimes set off a “Stranger Danger” alarm. But considering we are all using the cloud in one way shape or form, such as online banking, it is time to embrace the concept. Complete the form below to download our guide written in simple terms. As a business owner, you owe it to yourself, your employees, stakeholders and any customer you serve to honestly answer this one question: Is your business resilient enough to withstand a short or long-term interruption to its operations? 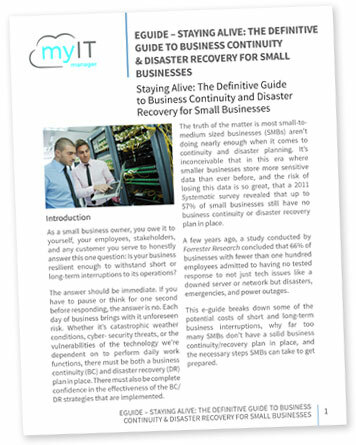 Download our e-guide to find out how you reduce the risk to your business.